MonthCalendar is one of the most important calendar control. 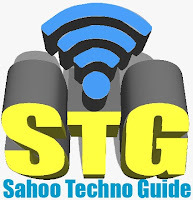 This control is used for selecting the date and range of the date. In my previous article I have shown you How to get the selected date of a MonthCalendar control in C#. Some of my previous articles are as follows Create MDI Form in C# | C# MDI Form . For opening the MDI form in windows application refer the article Open For MDI Parent Using C#.Net and VB.Net. For opening a command prompt on button click of the application is as follows How to Open Command Prompt Using C#.net. 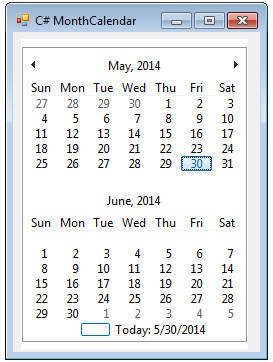 So in this article I will show you Displaying More than One Month in the Windows Forms MonthCalendar Control Using C#. This article I will show you in two parts. In first part I will show you how you can display more than one month in windows application MonthCalendar. In part I will perform operation just by setting property and in second part I will show you how you can perform the same operation bys using c# or vb.Net. For this we will just use CalendarDimensions property. Part 1: In part 1 I will show you how you can display more than one calendar horizontally and vertically. For this we will set the CalendarDimensions property as shown below. Part 2: In part two will see how to do the above operation by using c# and Vb.net.